At the Killino Firm, we know highway safety. 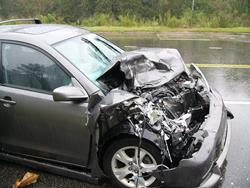 We successfully represent people and families who have suffered losses as a result of motor vehicle accidents. Our practice was built with a commitment to helping families obtain justice for catastrophic injuries and deaths caused by another person or company’s wrongful actions. Sticking with our commitment, we fight tirelessly on behalf of our clients to make sure they recover the maximum settlement or court award they are entitled to. At the Killino Firm, our vehicle injury lawyers understand the devastating losses our clients suffer. From emotional trauma and physical pain to permanent disabilities and physical disfigurement, we recognize that there are many other damages aside from the financial burden of costly medical bills and lost wages. Because of the grave losses our clients experience, we are committed to finding out who is responsible and making sure they are held liable. We don’t settle for a substandard settlement. We fight aggressively and tirelessly to ensure our clients obtain the maximum compensation they are entitled to. Our injury lawyers have been given national recognition for our commitment to keeping America safe. To view us in the media. According to the U.S. Census Bureau, there were more than 1,500 deaths linked to motor vehicle accidents in Pennsylvania in 2006. If your loved one has been killed in any type of motor vehicle accident, whether it is a rollover accident, a head-on collision, or another type of accident, you should contact the Killino Firm for help. No matter what the circumstances of your case, we will dig deep beneath the surface to find out what really happened. We will conduct a thorough investigation of the accident and will not stop until we are able to secure the compensation you need and deserve. To discuss the details of your case, contact our lawyers today.